South Africa-based Zimbabwean gospel musician, Angie Paraz has released her debut 8-track gospel CD album titled 'Let Your Will Be Done'. The sensational album, recorded in Pretoria, South Africa, comprises 7 other tracks Wandida, Fambai Neni, Haakusiye, Jesus I love You, Zvinoda Nyasha, He Is Able (featuring Tony Fashionable) and instrumental for Haakusiye. Apart from traditional platforms, the CD album is now available for sale and download across various internet-based digital platforms, which include www.beats98.com/album/117. Born Angie Paradza, in the mine town of Kadoma in Zimbabwe, the musician says she discovered her love for music when she used to sing for the school choirs at Primary and Secondary levels back in the 90's. She said she never stopped following her musical passion especially with the support that she got from her brothers, Pastors Martin and Udzo Paradza. 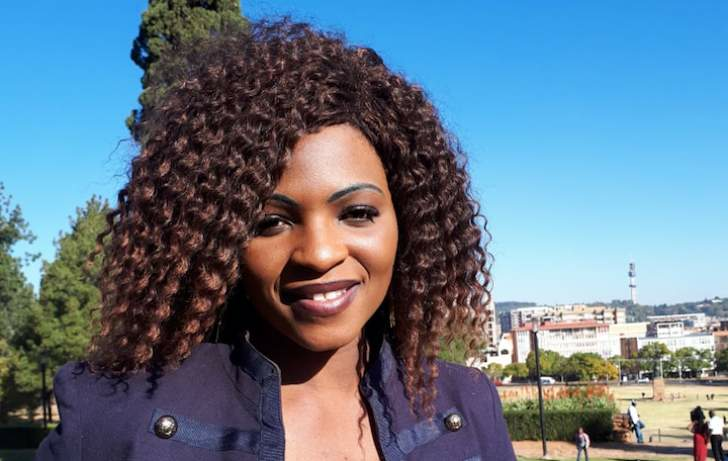 The gospel musician said she has worked with a number of artists such as Regis Fushai, House of David band that included Sharon Manyika, Tony Fashionable, who used to sing with the Excel group and Arab Majavala who used to work with Pastor Haisa, just to mention some but a few. The musician says apart from fellow Zimbabwean artists, she is inspired by Tasha Cobbs. The musician says her vision is to reach to all nations by ministering the word of God through music. So far the musician has done 2 videos for 'Let Your Will Be Done' and Wandida', which have already received 'thumps up' on social media and will soon be shown on public TV stations. The musician says she will soon travel to Zimbabwe, Botswana and Zambia to launch and promote her new album. Angie says the theme in her songs is about encouraging those who have lost hope in life, not to give up but rather seek God, for He has not forsaken them. Angie would like to thank everyone who has made her musical project a success with special mention to her beloved mother Felistas, brother Pastor Udzo Paradza, spiritual fathers RD Magaya, Apostle Steven Jengeta, Prophet Edward Opoku, Record Producer Kale Kabamba not forgetting fellow musicians who recorded in the album including Trust Kanjera, John Mkanga, Linda Gwesu, Talent & Theresa Ruzive, Tony Fashionable and last but not least, the growing number of her musical fans.